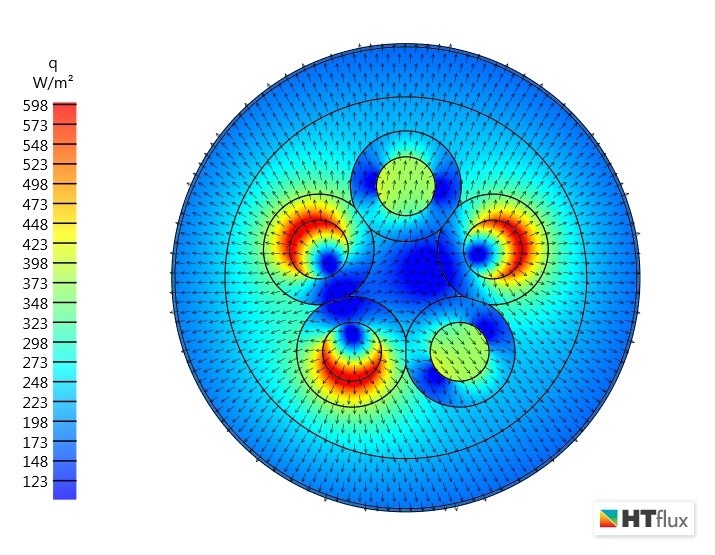 Using HTflux to simulate the expected temperatures of a power cable under load is a straight forward process. In our example we assume a 5-core power cable with a delta connection. We set the power dissipation for the three current-carrying cores to 4 W/m resulting in a total power loss of 12 watts per metre. Further we assume contact with air at 20°C ambient temperature and a heat transfer resistance of 0.13 m²K/W. 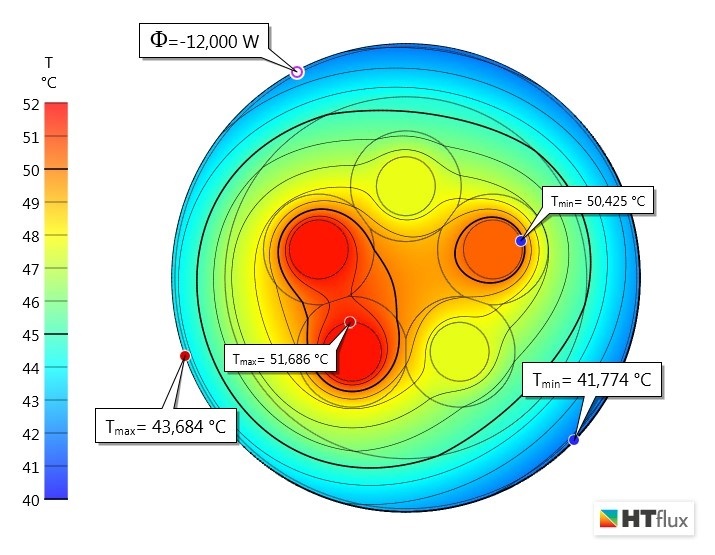 Within few seconds HTflux shows us the temperature distribution and heat flux density for this configuration. 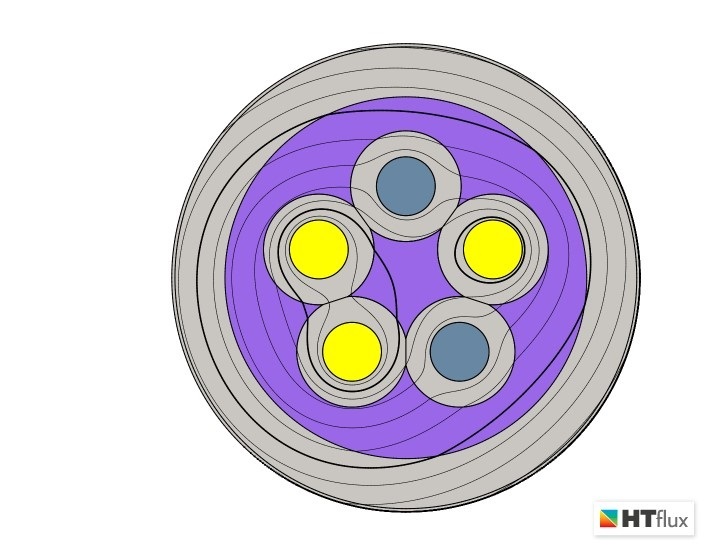 Furthermore, we can easily display the maximum and minimum temperatures of the cable surface as well as of the copper cores.